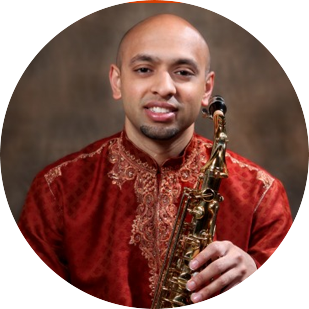 Dr. Sumanth Swaminathan is among a handful of world class South Indian classical saxophonists trained and tempered by the pioneering legend Dr. Kadri Gopalnath. He is a recording artist, performer, and teacher who resides in New York City. For over 10 years, Sumanth has performed in kutcheris, wedding concerts, and dance productions across North America and abroad. Feel free to explore the site for updated posts, listener feedback, and upcoming events. Thank you for visiting!